The adults-only Reina Roja hotel is one of a kind. 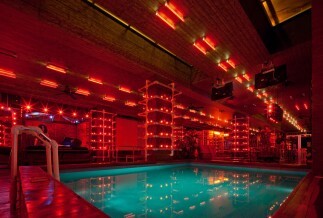 Provocative ambiance, original theme rooms and a funky atmosphere. 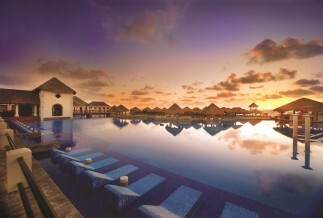 The Royalton Riviera Cancun offers fantastic rates for a great hotel. Don't miss out! 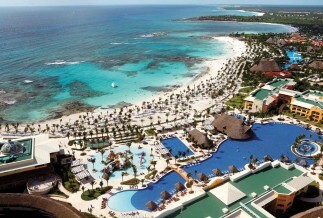 The all inclusive Now Jade is a sophisticated yet family friendly resort offering a wide range of activities. 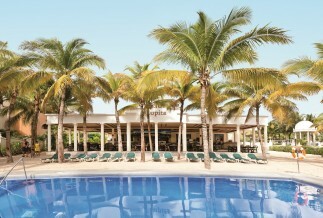 At the all inclusive Now Sapphire Riviera Cancun, there is fun waiting for the whole family. 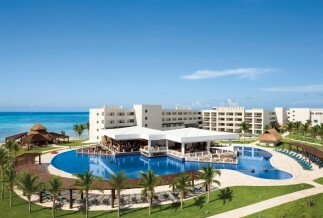 The Barcelo May beach, part of the Barcelo complex in the Riviera Maya is a great option for an all inclusive resort. 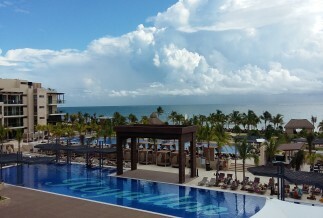 The Dreams Riviera Cancun offers family friendly oasis in a luxurious environment. 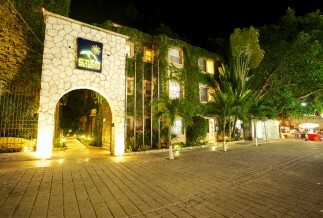 Located in the lovely gated Puerto Aventuras community, the Dreams is a fabulous family friendly all inclusive resort. 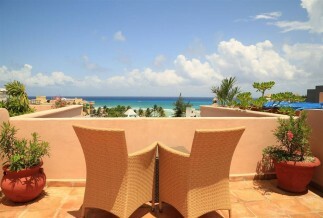 Only steps from the beach, these fully equipped luxury condos will be your home away from home. 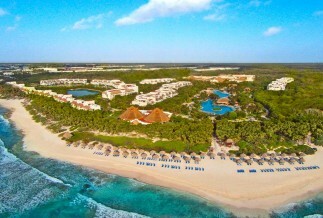 An all-inclusive, adults-only enclave that is nestled along the powdery soft sands of the Riviera Maya. 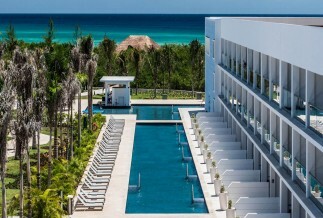 For those seeking something special, the exclusive Valentin Imperial Maya offers a luxurious and secluded stay. 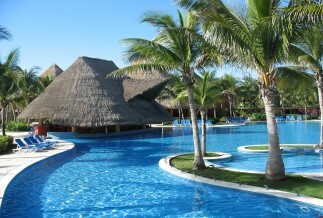 The family-friendly Barcelo Maya Palace has activities for the whole family. Perfect for making memories as a family! 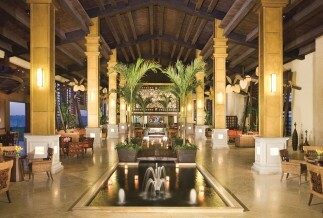 A modern, adults-only ambiance for those seeking all inclusive indulgence and pampering. 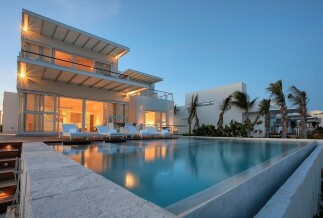 This is the Secrets Silversands. 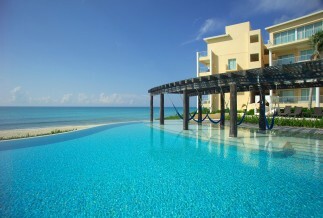 Intimate, luxurious and adults only - The Blue Diamond Riviera Maya is the hotel that you will never want to leave! 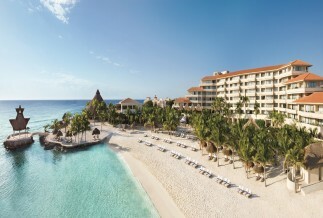 All inclusive and family friendly. 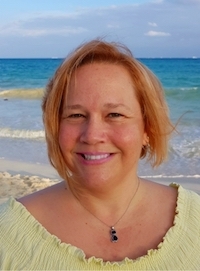 Get Riu quality for a fabulous price.